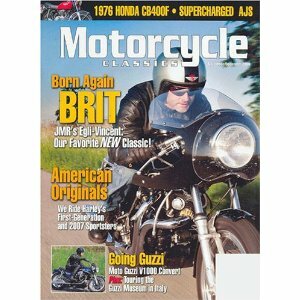 Motorcycle Classics is dedicated to the greatest motorcycles of all time and the people who ride them. Bonus Points: 6.00 ... what are bonus points? Bonus Points: 5.00 ... what are bonus points? Bonus Points: 7.00 ... what are bonus points? Bonus Points: 15.00 ... what are bonus points?